About 2/3 of our body consist of water. In fact, in men the percentage of water reaches 60-65 %, in women 50-60 %, while in young children (5-8 years old) up to 70 %! That is why we can stay alive several weeks without food, whereas only a few days without water. But how does water helps our body? The needs of an adult in liquids are about 2.5 -3 liters a day, which are covered through the intake of liquids (water, fruit juices, drinks, milk, soups), but also from foods containing water, such as fruits and vegetables. A fluid loss of 1-2% of our weight (i.e. , 650-1.200 gr. for a woman 65 kg) may cause disturbances in the normal functioning of the body, expressed with headache, feeling of fatigue, weakness, inability to concentrate and irritability. 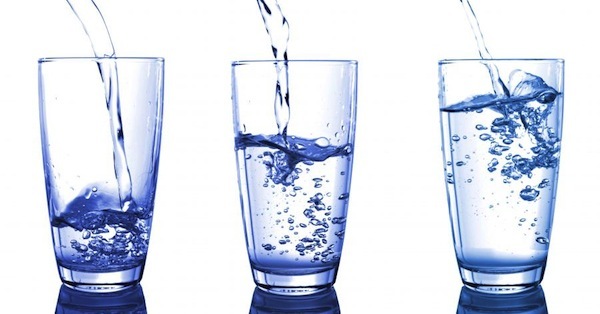 In the event of a more severe dehydration, which reaches 3-5% of our total weight, the problems are more serious, such as blurred vision, difficulty in swallowing, even muscular spasms or hallucinations. Every day our body expels around 5 glasses of water by the kidneys in the form of urine, 2 cups of water with the sweat and 1 glass of water with the breath. Water contributes significantly to the life and reproduction of cells. It is the main means of transporting nutrients (carbohydrates, amino acids, vitamins, minerals, trace elements) to the cells and from there to the organs of the body. However, at the same time, it is a means of removing toxic and waste substances. Water is an essential constituent of blood, which carries oxygen and nutrients, while contributing to the expulsion of harmful and useless substances from our body. It plays the role of a natural lubricant, thus contributing to the proper functioning of muscles and joints. In addition, it ensures the absorption of vibration, for example from falls or even from simple daily activities (e.g. , walking), while protecting sensitive areas such as the brain and eyes. Even a small percentage of dehydration, e.g. of 2 %, increases the feeling of fatigue and affects the mood and our ability to concentrate. It is important for the functioning of the kidneys, because without that the kidneys are not able to “do their job”, i.e. to help with the elimination of toxins and waste substances resulting from the process of metabolism. Water is the main ingredient of digestive liquids; therefore it helps in the process of the digestion of foods. It facilitates the passage of food from the gastrointestinal tract and contributes to the better absorption of nutrients. Finally, it helps the excretion of indigested substances from the large intestine. Usually, when we hear the words water and hydration, the first thing that springs to mind is a radiant skin. Thanks to the water we drink, our skin remains elastic and healthy. Water is the main means of our body in order to keep its temperature steady, regardless of the external environment. Perspiration, which consists mainly of water and we so much detest, helps to reduce our body temperature, especially the warm days of the year or when we strain our body due to exercise or work. It is therefore important in such cases to replenish our further losses in liquids. The needs for water during pregnancy are increased considerably, mainly due to the increased loss, but also to the change in the composition of the body of the woman (e.g. amniotic fluid). As regards the period of breastfeeding, the needs are even greater, since we need to cover the fluid losses from milk production. Water is essential in the diet, since during eating it promotes the feeling of saturation. In addition, the coverage of our needs in fluids contributes to a better functioning of the metabolism. Fluid deprivation is a predisposition for infections of the urine system.